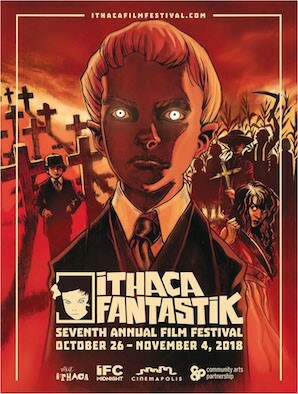 Ithaca Fantastik is proud to announce the last wave of programing for the 7th edition of our upstate NY celebration of genre film, electrifying music and dynamic art. Returning to our homebase at Cinemapolis, IF embarks on our 10-day event October 26th - Nov 4th. Our Cinema Pur side-bar is back with one of our strongest vanguard focused programs to date adding Joel Potrykus’ latest niche nostalgia nerd-fest RELAXER and A.T. White’s spellbinding debut STARFISH, hands down one of the most beautiful and gripping fable we’ve seen this year to previously announced titles in wave one. The Ithaca Fantastik will host also special screening of BOILED ANGELS: THE TRIAL OF MIKE DIANA with celebrated cult director Frank Henenlotter and Mike Diana paired with a discussion. Taking the Piss Down Under, a mini series with two of our favorite films of the year coming from South East Pacific: BROTHER’S NEST, MEGA TIME SQUAD. What would Ithaca Fantastik be without a dose of gore and fun! Get ready for the gruesome French insanity that is Alfonso’s GIRLS WITH BALLS and the international festival midnighter darling, Ueda’s ONE CUT OF THE DEAD! For it’s 7th edition, Ithaca Fantastik goes wild with its shorts with four massive blocks - GASP! The Horror!, WTFantastik!, Light+/-Dark Shorts, and the very special Eyeslicer Halloween Special, a curation of the weirdest and wackiest American indie spooky shorts from NYC producers Dan Schoenbrun and Vanessa McDonnell. When a pathologist (Vincent Price) discovers a creature that feeds and grows on fear, he quickly realizes the key to its defeat. He captures it to test his hypothesis. As the creature evolves in size and atrocity levels rise, the Doctor’s theories distill into one single urgent lesson: “please, do not panic, but scream!.... Scream for your lives.” This film’s just-wacky-enough execution of excruciatingly frightening ideas may just keep its viewers from requiring intensive therapy. Ninjas and cannibal monks and zombies, OH MY! Martial arts students from the Burbank Kung Fu Club head out on a leisurely cruise, but when their ship drifts too close to a mysterious island, their vacation becomes a lot less relaxing. They’ve landed far from home on Warrior Island, a burial ground for shamed martial artists. And they are not alone. White supremacist sx traffickers have made camp on this lowly island chock full of secrets just waiting to be unearthed. What's That In The Ground?, Dir. Wally Chung (USA); The Story of Everything, Dir. Sharon A. Mooney (USA); Sweet Deceit, Dir. 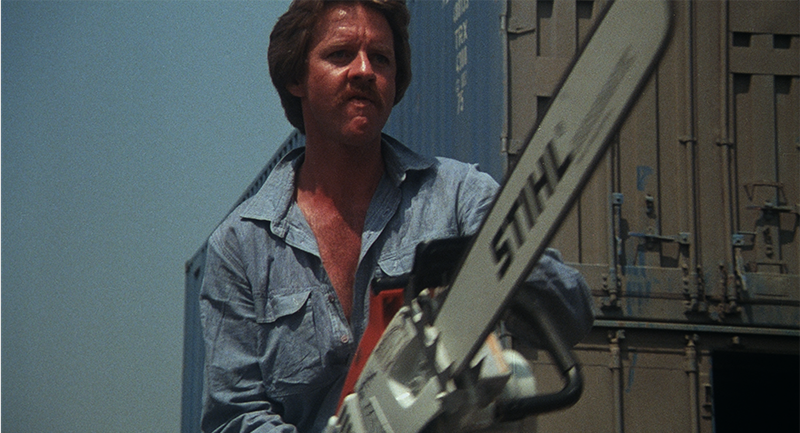 Shannon Jones (USA); Loathing, Dir. Franz Milec (Czech Republic); NewVHS, Dir. Spencer Starnes, Kevin R. Wright, Pete Clendenning, Jordan Paul Miles (USA); Mama's Boy, Dir. Samantha Kolesnick (USA); MOTHER FUCKER, Dir. Nicholas Payn (USA); Entropia, Dir. Marinah Janello (USA). It’s your own private show! A 3D, 360° recreation of historical burlesque styles from 1900—1970. Go on an entertaining and seductive journey through the evolution of burlesque, exploring its history and its impact on women’s sxual empowerment. Showcasing the artistry of burlesque dance troupe Whiskey Tango Sideshow, VIRTUAL BURLY is a combination of dance performances and interviews brought together to explore themes in women’s experience in this art form.